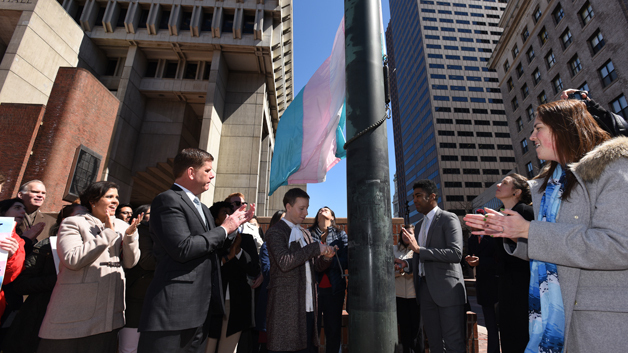 The mayor of Boston has backed transgender rights in the city, as a transphobic bus arrived in Massachusetts. 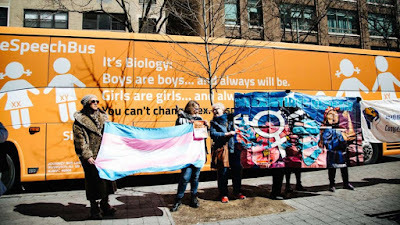 The bus is sponsored by conservative action groups the National Organization for Marriage, Citizen Go and the International Organization for the Family. The organisers say it is aimed at promoting "the truth of gender", which they say is "determined by biology rather than by emotions and feelings". Protesters surrounded the bus at the Massachusetts State House in Boston and in neighbouring Cambridge, near Harvard University. 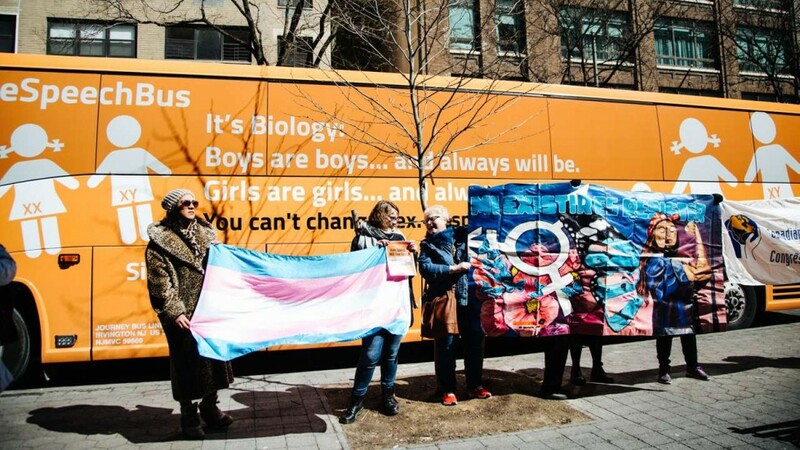 The bus was vandalised at its first stop in New York. It closely resembles a Spanish bus created by a Catholic group that was forced off the roads by protesters in Madrid and Barcelona. Speaking while the transgender flag was raised over over City Hall, Boston's mayor Marty Walsh said: "We are listening to our transgender community by making the city more inclusive. Its important for us to every now and then send a message, to let people know we will not be intimidated by discrimination or harassment". And he added: "When you deny the experience of transgender individuals, you are denying the experience of basic human civil rights".